In order to improve the marketing network and product promotion, increase product sales radiation force, in Dec 2013, our company incorporated Hengxin offshore (Asia) Pte Ltd in <?xml:namespace prefix = st1 ns = "urn:schemas-microsoft-com:office:smarttags" />Singapore, from March 19 to 21 of 2014, attended the thirteenth session of Asia Pacific Maritime exhibition held in the sands convention center of Singapore. Take the standard of new plant put into use, the annual output value reached 300000000 Yuan, the implementation of standardized production mode is under operation and standard quality assurance system, greatly enhance the production efficiency and management efficiency. 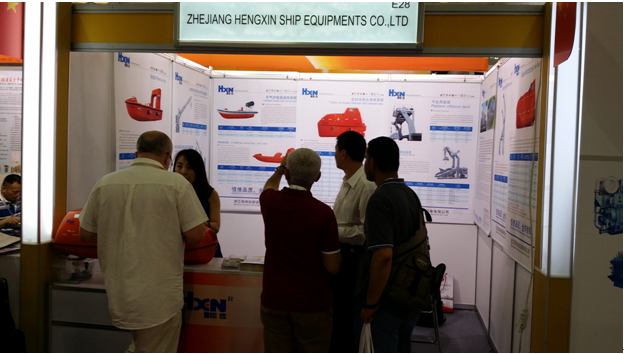 Which had a fully displayed through this exhibition, and so, the customers have a new understanding to the Hengxin. During the exhibition, an endless stream of clients came to our booth to talk with our staff and our products have made a deep mind for them, and reached a number of cooperation intention.